This wild and unspoilt game reserve in southern Tanzania boasts an enticing mix of abundant wildlife and varied terrain to explore. 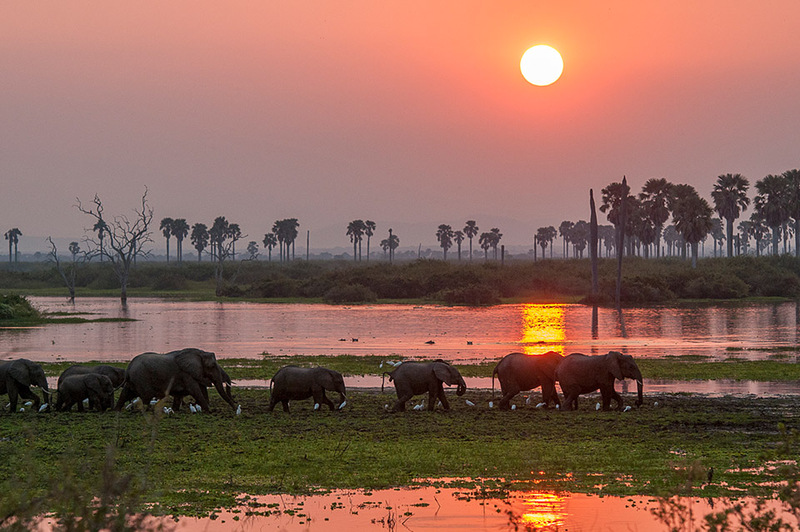 Spanning a vast 45,000km, the Selous is larger than Switzerland and is home to just a handful of small safari camps, ensuring an exclusive safari experience. Selous safaris are just spectacular. Game-viewing here is rewarding, with plentiful numbers of wild dog, lion, leopard, elephant, buffalo and more than 400 species of bird. A real highlight of the Selous is the variety of safari activities available, making every day entirely different from the next. Choose from traditional game drives, boat safaris to get up close to the hippos, or walking safaris to take a slower approach to understanding the flora and fauna of the Selous National Park. The Selous is a wild and pristine game reserve in southern Tanzania, offering an off-the-beaten-track safari with rewarding game viewing. Away from the better-trodden path of the northern parks such as the Serengeti, there is much to see here and only a handful of other visitors here at any one time. 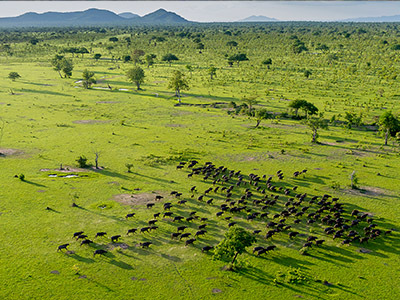 The reserve is easy to access from Dar es Salaam and Zanzibar by light aircraft and is ideally combined with the nearby Ruaha National Park. The Selous was awarded UNESCO World Heritage Site status in 1986, recognising the reserve as one of Africa’s largest remaining wilderness areas and the importance of its position as a wildlife corridor with Mozambique’s Niassa reserve to the south. The varied terrain of the Selous ranges from miombo woodland to rivers swirled with sandbanks, open plains, verdant swamps and lowland rainforest. Selous walking safaris are just incredible! More than 2,100 plant species have been recorded here and the different ecosystems are home to a wide variety of wildlife. The mighty Rufiji river meanders through the heart of the reserve and its many tributaries, channels and small lakes provide not only a water source for the wildlife but also a beautiful riverine environment to explore by boat. 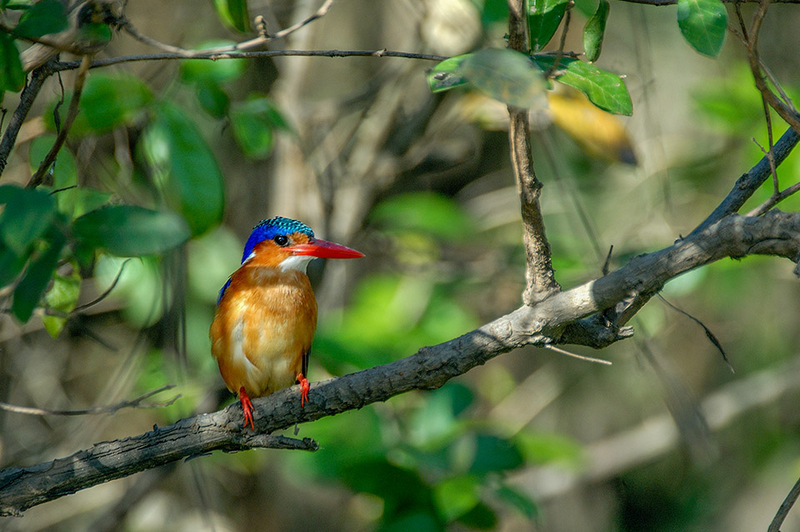 The Selous Game Reserve has an abundance of wildlife to discover on safari, with its varied terrain providing a superb habitat for some of the most sought-after species as well as more unusual game. There are lion prides aplenty, leopard lounging in the riverine woodland and one of the continent’s largest populations of wild dog, one of Africa’s greatest predators. 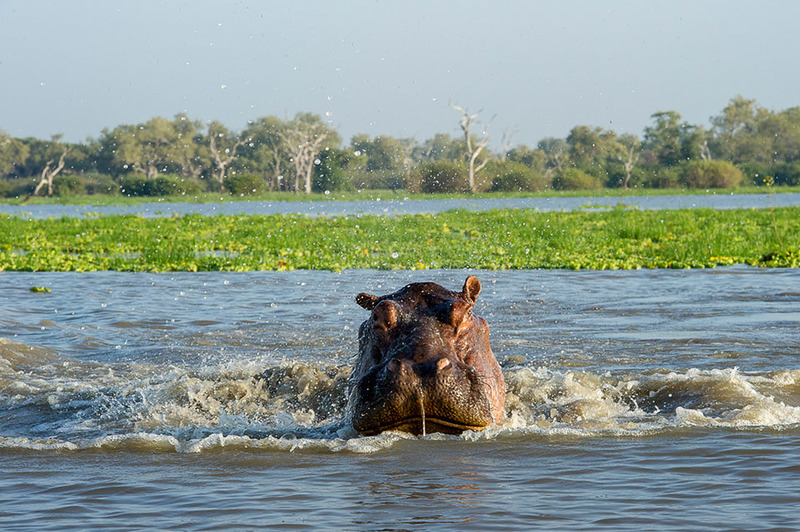 There are high concentrations of hippo in the reserve, who provide a constant soundtrack to your safari, as well as large herds of buffalo which roam the miombo woodland and swamps. Some of the rarely seen species found in the Selous include sable antelope, eland, Nyassa wildebeest and Lichtenstein’s hartebeest. 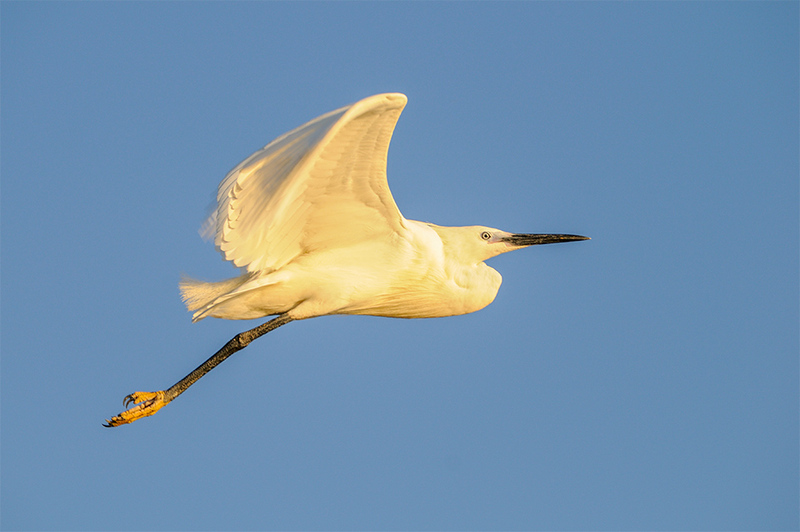 The reserve is also home to more than 400 recorded species of bird, ranging from the endemic rufous-winged sunbird to the elusive Pel’s fishing owl. Rhino do inhabit the Selous in small numbers but sightings are extremely rare and should not be expected, and there are no cheetah in the reserve. Every day of your Selous safari can be different, thanks to the variety of activities on offer here. Game-drives are the best way to encounter the larger game and predators, allowing you to cover more ground. We use open-sided vehicles with tiered seating to ensure everyone gets a great view, wherever you are sitting. 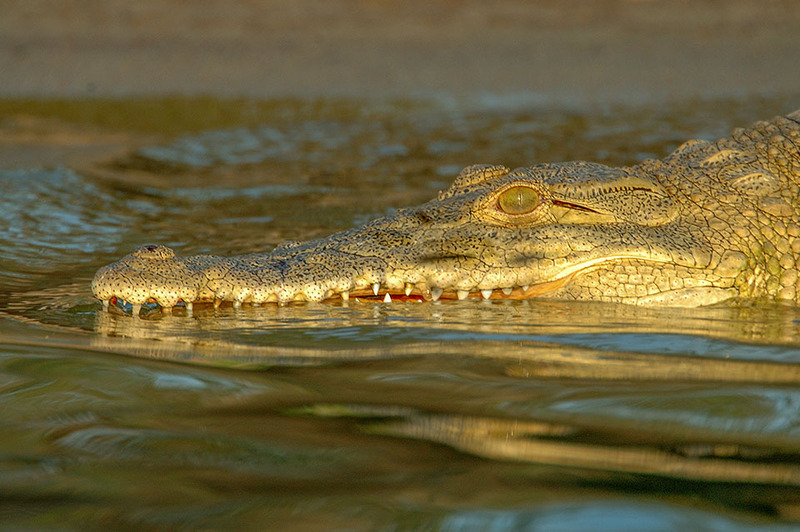 Boat safaris allow an entirely different perspective, getting up close to hippo pods, crocodiles sunning themselves on the sandbanks and bird colonies nesting on small islands. In the late afternoon you’ll often be treated to the sight of waterbuck, giraffe and herds of elephant coming to the water’s edge to drink. Boat safaris can be combined with catch-and-release fi shing for tiger and catfish on request. 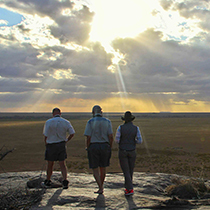 Of course all activities can be combined with picnics, bush breakfasts and sundowners. Walking safaris are a real highlight, offering a slower pace and the chance to track wildlife from their prints and signs in the bush, as well as taking the time to learn about the wider ecosystem and how it functions. 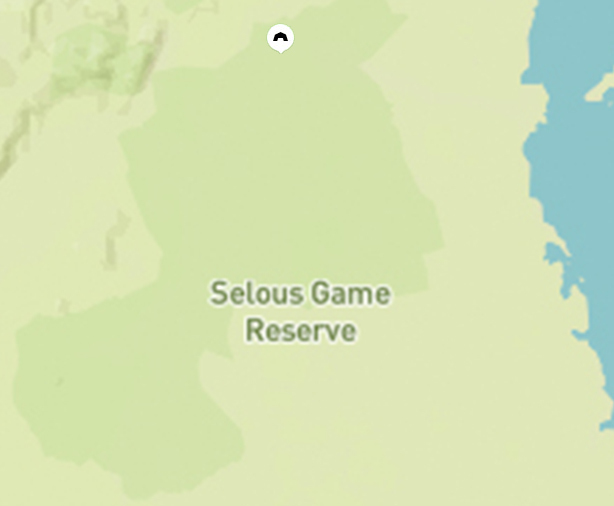 (Under 16s are not permitted to walk within the Selous Game Reserve). Combine your boat safari with a bit of catch and release fishing, a relaxing way to spend an hour or so in the afternoon. The rivers are home to good populations of tiger fish as well as catfish. The main safari season in the Selous is the long dry season which runs from June until October, with the reserve becoming drier and wildlife more concentrated around waterholes, rivers and lakes as the season goes on. November brings the short rains and the humidity builds from then until the start of April which brings the long rains which run throughout April and May (when most camps and airstrips in the reserve are closed). Whilst November to March is hot and humid with intermittent rainfall, wildlife viewing is still highly rewarding as the game is still active and there are often less vehicles and boats in the reserve so you can enjoy the game-viewing to yourself even more. Birders will also find these months particularly rewarding with the arrival of migrant species on their journey south for winter. Set on a hill overlooking the water, Roho ya Selous sits in the very heart of the Selous Game Reserve. 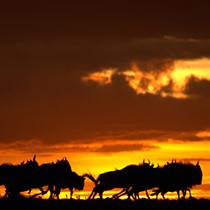 Experience the absolute beauty of Southern Tanzania. Find out how to take the perfect shot whilst on safari. So you’ve got your safari trip booked, now the next big question is – what do I pack? Birds flying high in the early morning. 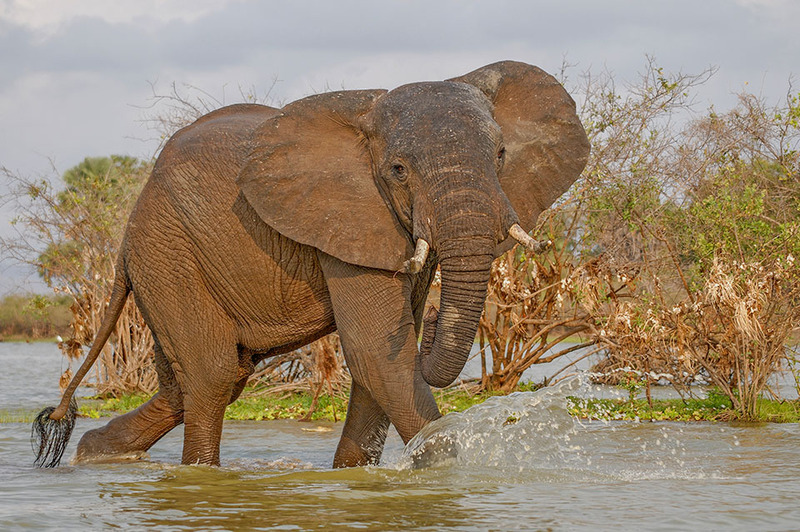 An elephant splashes in the river. 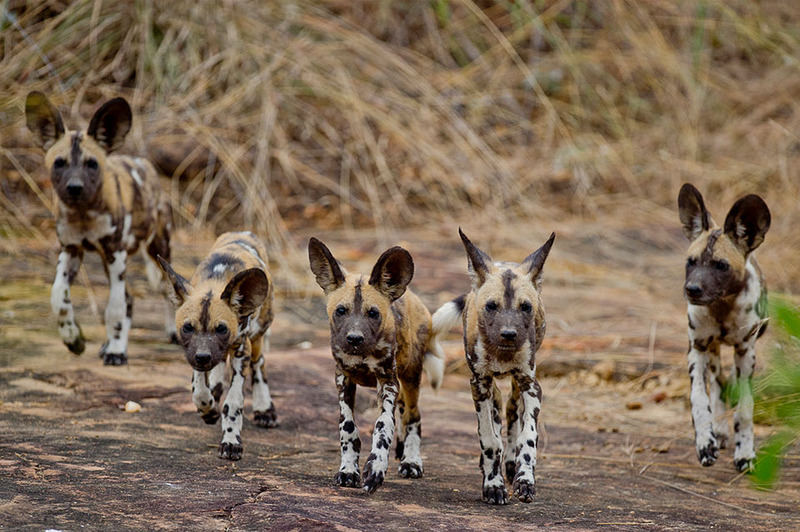 Selous is home to the largest population of wild dog. A crocodile lies in wait. 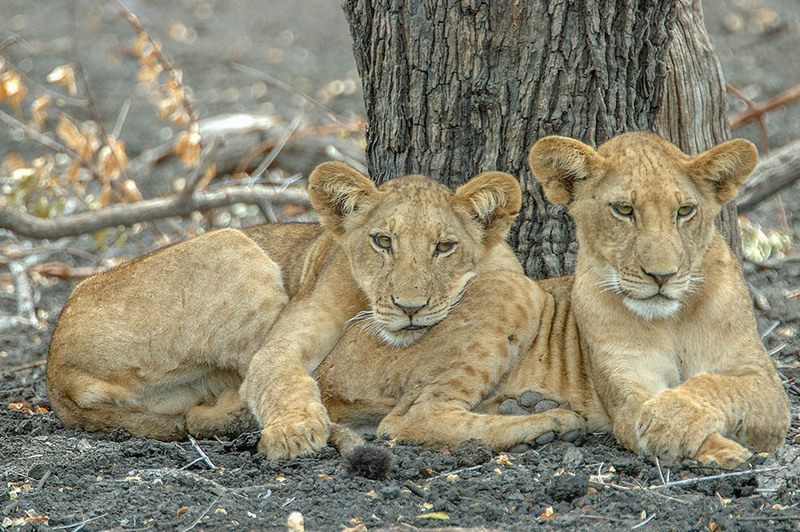 A couple of lion cubs relaxing in Selous. 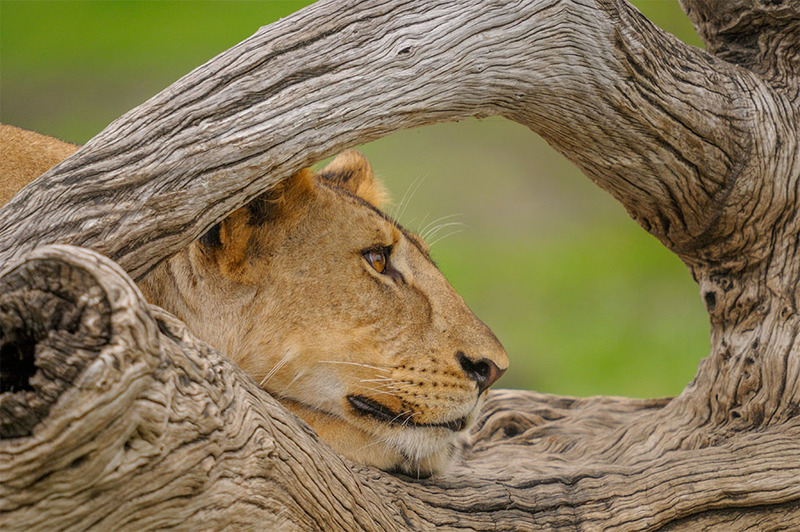 A lioness peeps out from behind a branch. 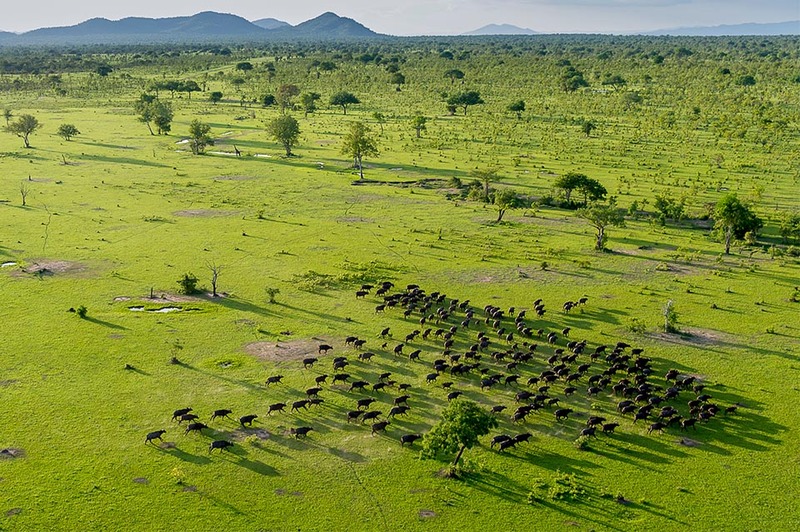 A herd of buffalo seen from the skies. 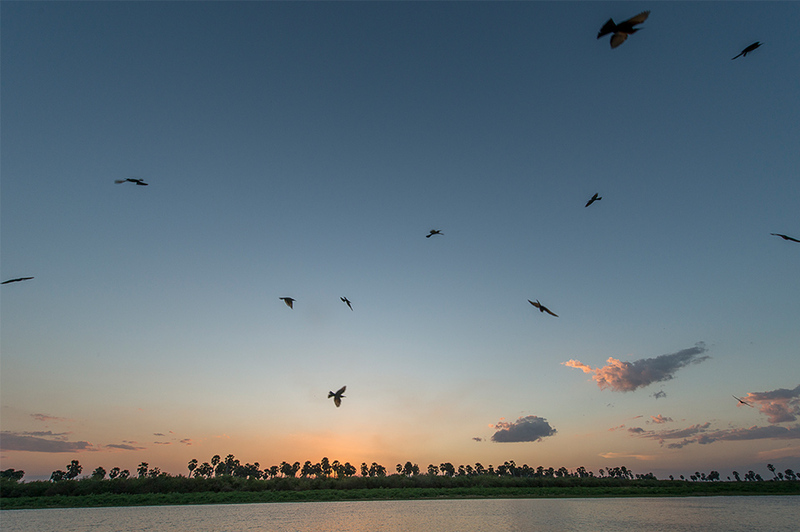 A bird takes flight over Selous. 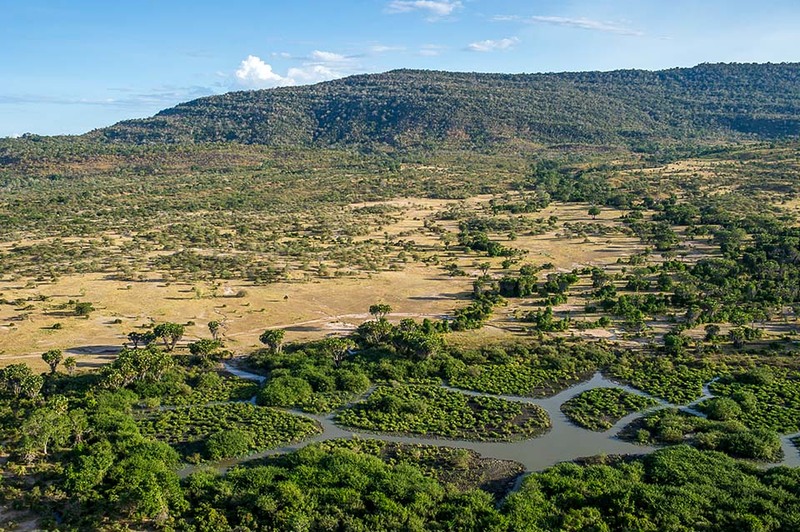 The varied landscape of Selous. 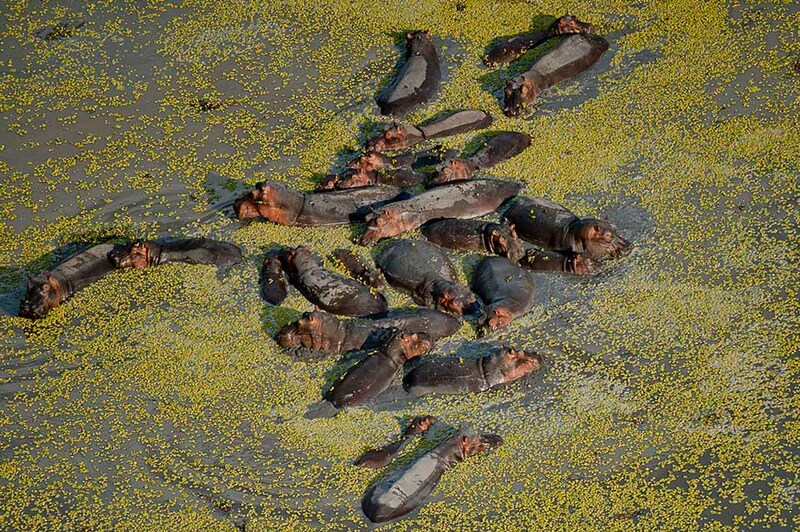 A pod of hippo relaxing in the river. A kingfisher keeps an eye out for a meal. 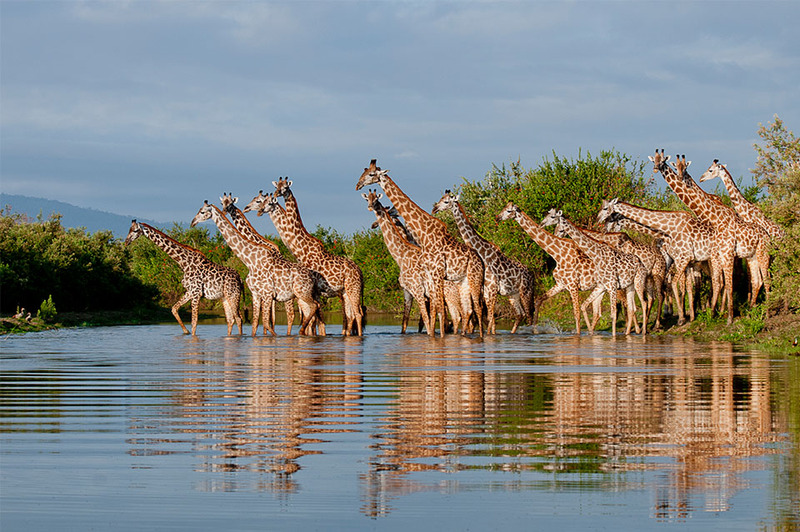 A journey of giraffe in Selous. 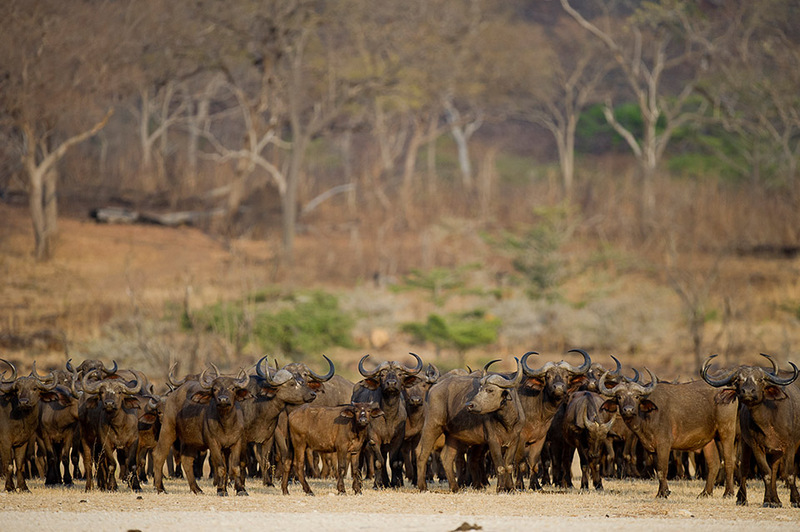 A herd of buffalo seen on a game drive.